One of the largest of the herbal families, mints belong in every garden, though their rampant growth recommends planting on the back forty or confining them in containers. When confronted with the occasional difficulty in growing mint, I recommend a larger pot, the best quality potting soil, a sunny location, frequent pruning and use very little fertilizer, and a shift to a shady spot during the hottest weeks of the summer. After summer’s decline, cut mint back, fertilize, water well and move back into the sun for the fall. It will revive and reward you with nice fresh growth. So many flavors of mint are available falling into the citrus category, other fruity flavors like pineapple, the peppermints, and the many and varied peppermints and the many and varied spearmints. The best way to choose is to pinch off a leaf, crush and smell. 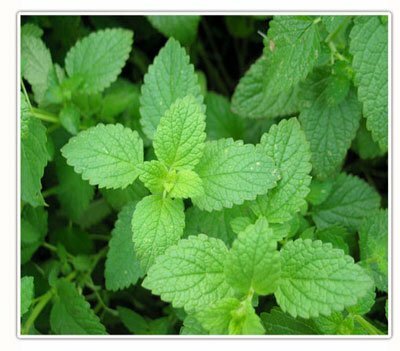 A special mint named in honor of Madalene Hill, is Red-Stemmed Apple Mint or Doublemint “Madalene Hill”. This mint contains both peppermint and spearmint oils, giving it a specially complex and subtle flavor, and is preferred by many cooks. Two notes on cultivation: Pineapple mint can be grown in somewhat shady areas and its bright variegations make it especially lovely in such a spot. 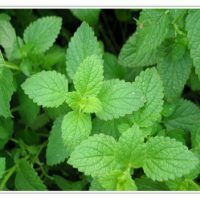 For a less-invasive spearmint, try Kentucky Colonel-for some reason it is much easier to control, even when planted in the ground, and it has the great spearmint flavor and fragrance.